1 Corinthians 12:31-13:3 "But earnestly desire the greater gifts. And I show you a still more excellent way. 13:1 If I speak with the tongues of men and of angels, but do not have love, I have become a noisy gong or a clanging cymbal.2 If I have the gift of prophecy, and know all mysteries and all knowledge; and if I have all faith, so as to remove mountains, but do not have love, I am nothing. 3 And if I give all my possessions to feed the poor, and if I surrender my body to be burned, but do not have love, it profits me nothing." In 1 Corinthians 12, Paul introduces his readers to the subject of spiritual gifts. We find him describing the various Spirit-given abilities to be God-given empowerments of grace given to Christians so that they can do the will of God. In past posts we have noted four general categories of spiritual gifts found in 1 Corinthians 12-14 and elsewhere in the New Testament (see Ephesians 4:11-17; Romans 12:6-8; 1 Peter 4:7-10). Those four categories of spiritual gifts are: motivational, leadership, service and occasional (or miraculous). We've also noted too how spiritual gifts function as spiritual-fingerprints for each individual Christian and the local church. Today we want to understand what is often called "the great love chapter" of the Bible - 1 Corinthians 13. The reader may had noticed that I started today's opening passage in 1 Corinthians 12:31. The chapter and verse divisions of our Bibles were not introduced until the Middle Ages. On occasion, wherever a chapter division begins may not be where the text itself ends or begins. 1 Corinthians 12:31 is a transition verse between Paul's foregoing discussion on the spiritual gifts and what will be his communication of God's love through the gifts. What kind of love is found in 1 Corinthians 13? 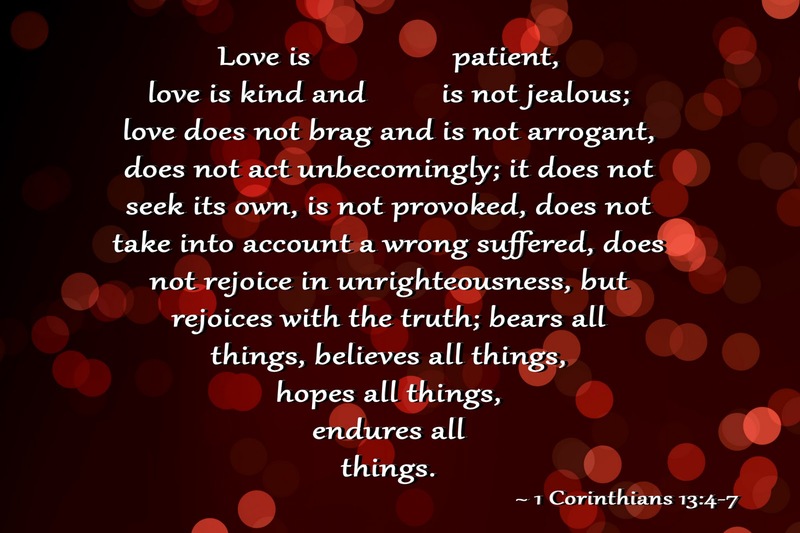 Over the years I have heard 1 Corinthians 13 used in wedding ceremonies. It is most often the case taken to mean the type of love shared between a husband and a wife. For sure, certain applications about human love could be gleaned, however that does not appear to be the thrust of 1 Corinthians 13. This writer would submit that the type of love featured in 1 Corinthians 13 is none other than God's love expressed through and by the Christian to God and to others around them. Without getting into the technicalities of the underlying Greek text of 1 Corinthians 13, the way in which the word "love" is rendered suggests that a certain quality of love is the focus in 1 Corinthians 13:1-3. In addition, Paul then uses another grammatical feature to specify the type of love he is talking about to not be just any love in general. Ellicott's Commentary notes: "The more excellent way is “Love.” Without it all moral and intellectual gifts are valueless. If there be love—the love of God, and the love of our brethren—in our hearts, all will be well." James-Fausset-Brown note in their commentary: "The New Testament psalm of love, as the forty-fifth Psalm (see Ps 45:1, title) and the Song of Solomon in the Old Testament." This particular remark is telling, since virtually all commentators have noted how Psalm 45 and Song of Solomon portray or illustrate the relationship of love God has for His people through the lens of marriage. "Paul shifted from the first person to the third person and replaced himself with a personification of love. Some have seen in verses 4–6 the fruit of the Spirit (Gal. 5:22–23); others have seen here a description of Christ Himself. 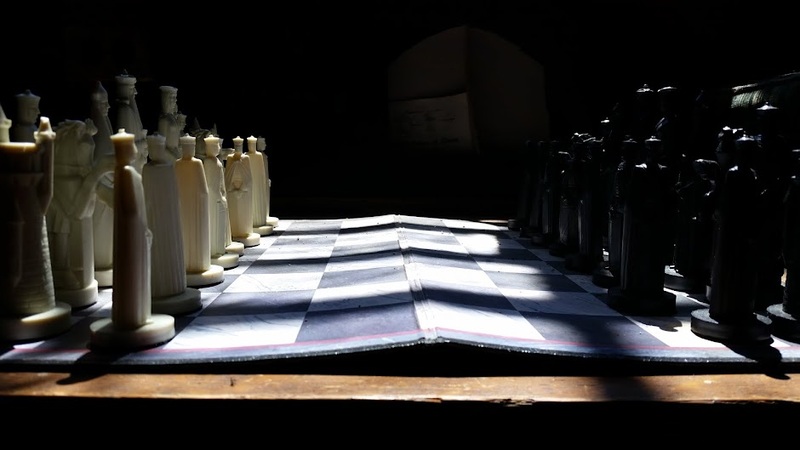 As different sides of the same coin, both are applicable and provided a solution to the many Corinthian problems." "Paul’s deep concern for the unity of the church at Corinth caused him to address several aspects of Christian love. The first quality Paul listed was love is patient. Patience is a quality of love that the New Testament frequently mentions by this or closely related terminology. It signifies forbearance, slowness to repay for offenses. God is patient because he does not immediately punish those who offend him. God’s patience slows down the judgment process and opens the way for reprieve from punishment altogether. Believers should behave similarly because of their love for one another." "Now, that is precisely the kind of thing Paul is pointing out in 1 Corinthians 13. No matter what a person is like, no matter how he behaves, no matter how he relates to you, seek his highest good. That’s what God did. As God sends His rain on the just and the unjust, so you are to shower acts of self-sacrificing service on the deserving and the undeserving equally. Now, you’ll have to remember that this is not related to emotion but related to will. It is not an act of the emotion, it is an act of the will. To love somebody in terms of an act of self-sacrifice is not a feeling but it is a determination that you make in your mind that this is right and this is what you will do." Today we aimed to understand the great love chapter of 1 Corinthians 13. Our goal was to grasp what kind of love Paul is speaking of in the chapter. We concluded that this is nothing less than God's love expressed through the Christian in the exercise of their gifts. Without God's love flowing like a river through the Christian's obedience and gifts, the outcome will end up being nothing.